Don Q Puerto Rican rum is one of the top premium rums from that country, and although it has only been available for a little more than 3 years in the USA, it is now available in every state. The rum is distilled at Destileria Seralles, and they have been around since 1865 at the Hacienda Mercedita plantation near the city of Ponce. Don Juan Serrales produced a few casks of the drink using a copper still he had imported from France. This is a smooth tasting rum that benefits from the six generations of Serrales family distilling and blending along with the benefits of the artisan aging in America with white oak casks. The Don Q Anejo that I got to try for the first time is a blend of rums aged from 2 to 7 years, and is 80 proof with 40%b alcohol volume. Tasting notes indicate oak, vanilla and caramel followed by molasses and soft leather with a nice cognac style lingering finish. This is a rum perfect for sipping, straight on the rocks or even with water or club soda. It can be used as a replacement for dark rum, and also as a substitute for whisky and brandy in Manhattans and Alexander’s. This is a very versatile rum that pairs well with chicken, fish or meats as well as cream sauces and reductions. There are other rums from this distiller that need to be checked out as soon as possible and I think that I will probably seek out the Blackbeard Spiced Rum which was given an A plus rating in the Tasting Panel magazine. Don Q COCO is a blend of rums infused with coconuts, and for a citrus junkie like me the Don Q LIMON made with key limes from Puerto Rico. 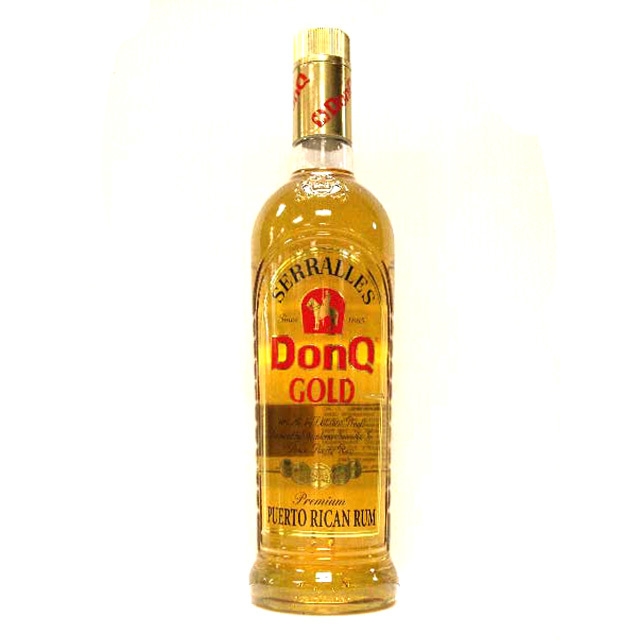 The Don Q Gold is the premium choice in the range for cocktails because of its robust and integral flavor, and it is famous for being the first rum used in the creation of the Pina Colada. Unlike the Anejo, this rum pairs up well with Latin, Asian and spicy foods. Price wise these rums are a bit of a steal consider the tradition and overall quality with the Gold available for $13.99, COCO for $14.99, and the LIMON for a moderate $29.99. In a cocktail shaker, add rum, juices, grenadine and ice. Shake vigorously. Strain into a tall glass filled w/ice. Garnish w/a cherry and orange slice. For more information on Don Q Rums, please visit www.donq.com.